No Matter How Big Or Small, Your Donation Can Make A Difference! 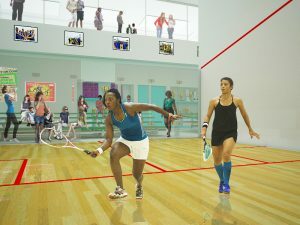 The Barbados Squash Association gratefully acknowledges the generosity of its members, individuals and companies who have exhibited their commitment and support to Squash in Barbados and by extension providing members of the public with an opportunity to improve their quality of life through the sport of squash. 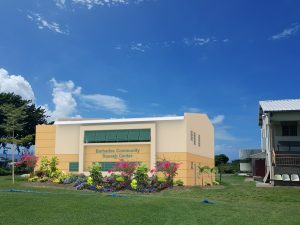 As a nonprofit organization, The Barbados Squash Association relies heavily on the generosity of its members, friends and supporters to assist with the funding of its activities, which are designed to build a bright future for squash. Each contribution has a direct impact on our efforts to increase participation, build awareness of squash, provide programs that allow juniors and adults access to the sport, and enrich players’ experiences. The Squash Centre at Briar Hall will be established to promote and encourage the playing of squash amongst persons of all ages, backgrounds and abilities, providing opportunities for them to develop their squash skills for their personal and professional advancement. The Centre will provide the best programs and facilities to meet the needs of its members. Besides providing excellent value to members, the Centre will create an unmatched sporting atmosphere that will add to the enjoyment of every member and assistant at the facility. The Centre will be dedicated to the community as it will strive to support and sponsor community events, as well as host them whenever possible. Through the use of the centre, members’ enjoyment and appreciation for the sport and for life and healthy living will be enhanced. An effective induction program for new members. A healthy and active social club environment. Creative marketing of the sport. Creation of an “unmatched” cool atmosphere at the facility to attract and retain members. Providing members with access to experienced squash players, trainers and resources to aid in their development. Squash at Briar Hall will bring a wider scope to the area and would be a step forward in achieving the Association’s objective of making squash more visible to communities. With the close proximity to neighboring communities and schools the Association will be in a better position to develop programs and activities to attract the attention that is needed from these segments. The Briar Hall area is promising and can adequately serve the Association’s needs in developing a wide cross section of players. The youth and other interested persons from the area will be targeted and provided with opportunities to know more about the game and how it is played. With the establishment of this facility, greater access to junior players will be granted to the Association to those who reside or attend schools in the vicinity of the complex. It is the vision of the Association to arrange inter-school squash championships and this venture can be a step forward in this direction. Schools in the vicinity will be targeted to commence this program and it is the aim of the Association to spread the program to other schools over-time. They are many benefits and opportunities which the youth can derive from becoming involved with this sport and the Centre will work extensively on programs to attract and engage junior players.